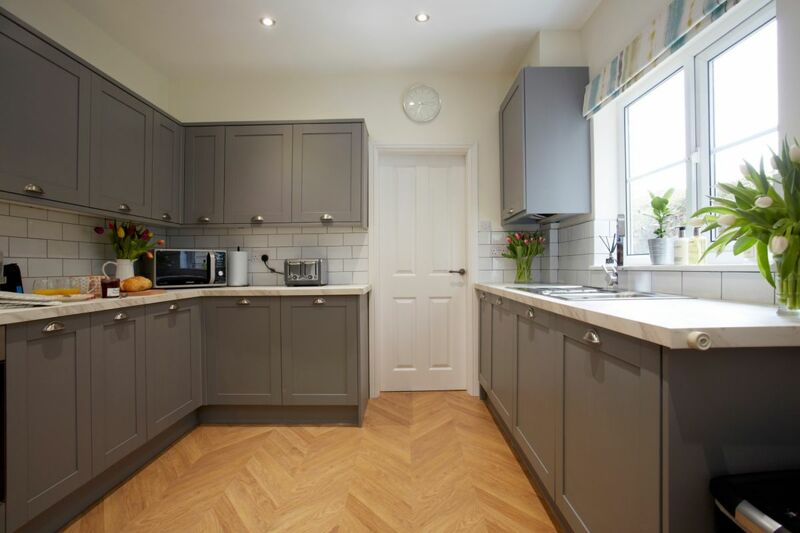 A stunningly beautiful and fully refurbished Victorian Townhouse in a quiet residential area. 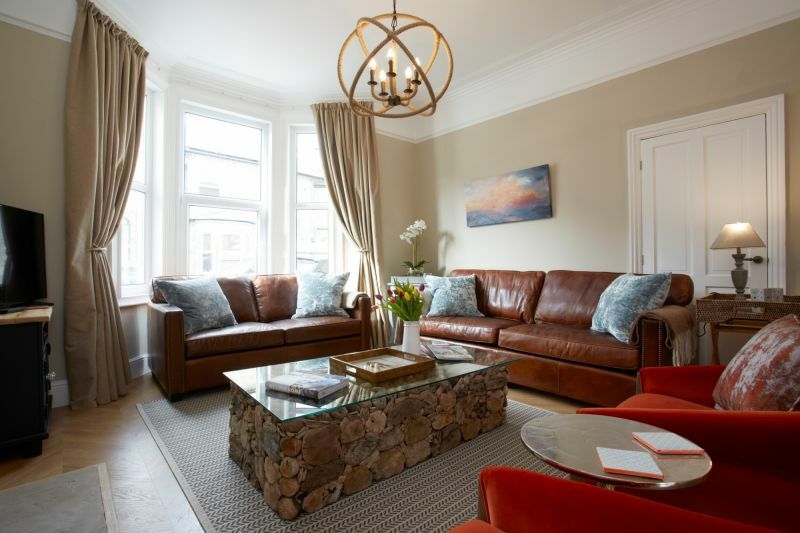 The City Escape is another superb addition to the highly regarded properties offered by multi-award winning York Luxury Holidays for unrivalled holiday accommodation in York. 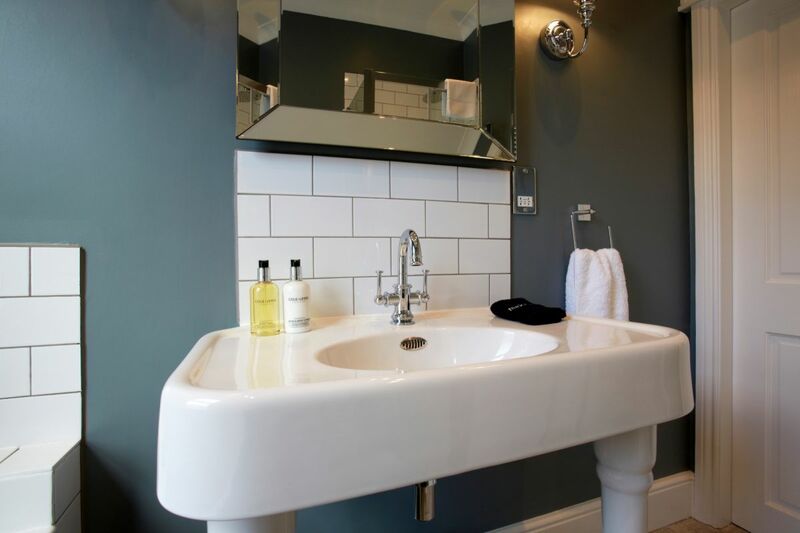 This newly refurbished Victorian Townhouse is now a beautiful holiday home offering guests wonderful accommodation from which to enjoy our city. The interior design of The City Escape is stunning, offering guests the perfect place to relax and enjoy, inside and out. 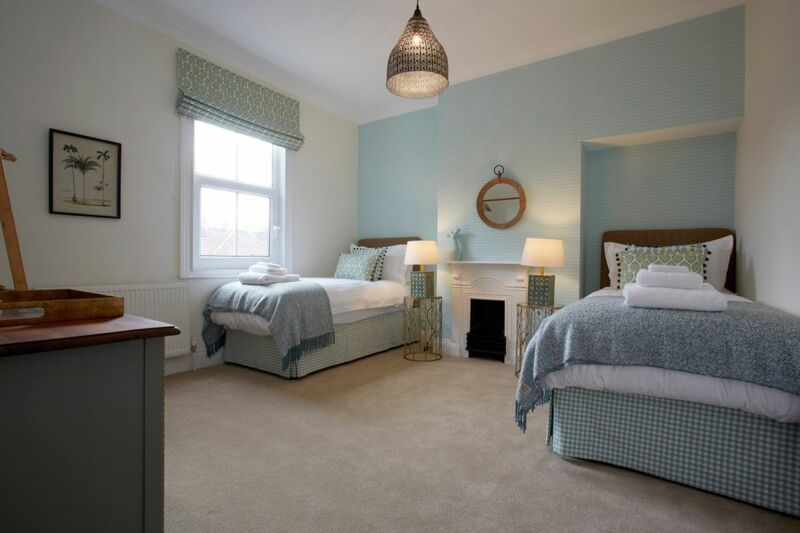 There are 3.5 sumptuous bedrooms, including a rarely found king bedroom with an en-suite shower room at ground floor level, overlooking the garden area. 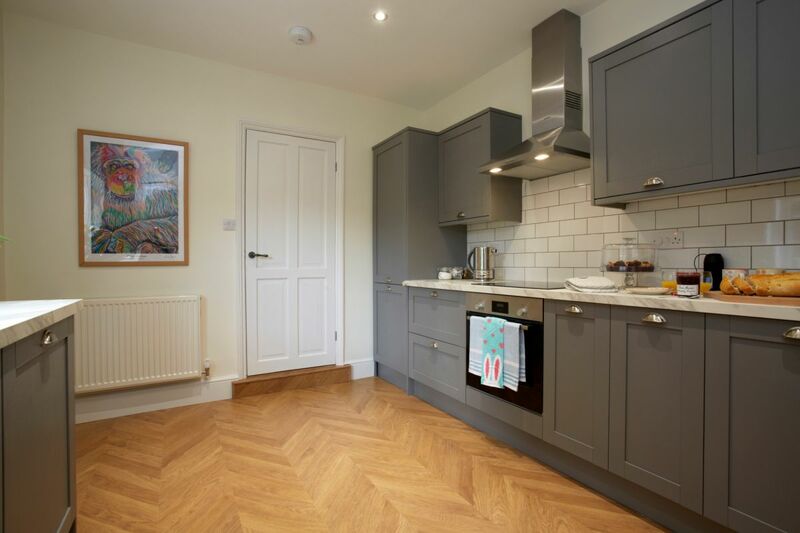 Also at ground floor is the entrance hallway, a large open plan and super-comfortable sitting-dining room, brand new kitchen and a lovely south-west facing walled courtyard garden. Upstairs is a further king bedroom and a twin bedroom, both sumptuously designed, and a totally unique kids room with43” Smart TV, X-Box, further gaming and a large corner sofa-bed for 1-2 children (an additional adult may be considered prior to booking). 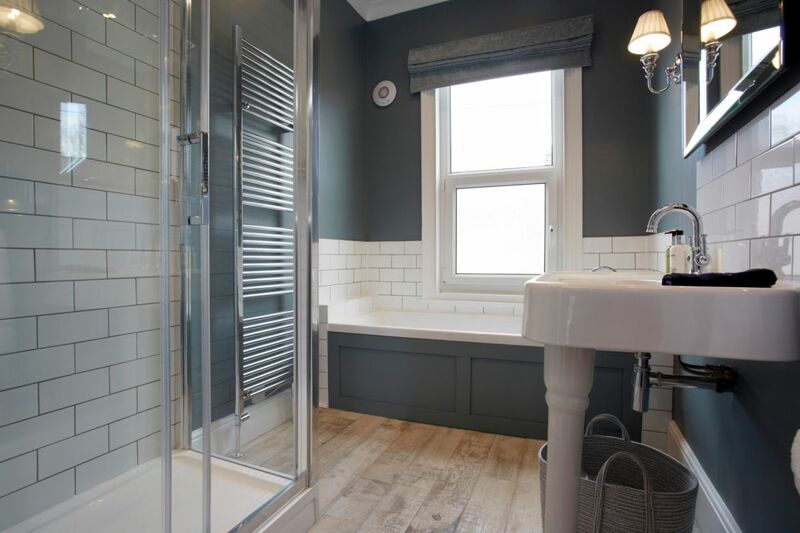 There is an immaculate family bathroom with both a bath and a shower unit, and also a separate cloakroom. Located on a quiet Victorian residential street, only a 10 minute walk to the city at Bootham Bar (Bar in Jorvik means Gate! ), The City Escape is exactly what it says - a truly wonderful escape from the hustle and bustle of the city. It is a place to which guests will return, time and time again. The City Escape is a beautiful newly refurbished Victorian Townhouse, located just off Bootham, which is the main historic city entrance road from the north ring road/A19, and is just about a 10 minute walk from the city’s historic Bootham Bar entrance gate to the city, where the Theatre Royal and Art Gallery are located. It is also just a short walk to the Museum Gardens and the river area for river walks. Close by, in the opposite direction away from town, are a few lovely specialist shops, delis and cafes. The accommodation itself is spread over two floors and is a Tardis! Furnished to the highest of standards it offers lots of space, quality and comfort, inside and out. The main entrance door leads from the front garden into an entrance lobby area and then into a lovely long hallway with beautiful tiling. The super-comfortable sitting room, seating seven guests, looks over the front of the property through large windows. There is also a 43” Smart TV with Amazon Prime and an electric wood-wood-burning effect fire. 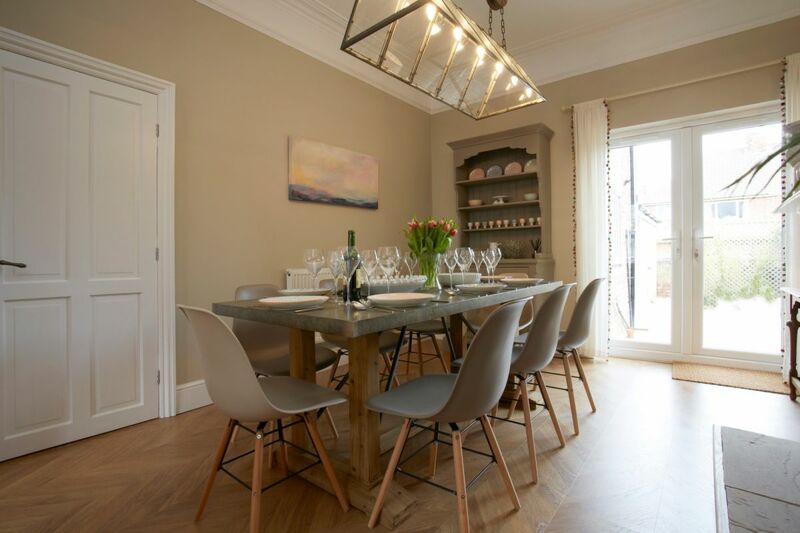 The sitting room is open plan with the dining room, which offers a large dining space for up to eight guests. French doors from the dining room lead into the private south-west facing walled courtyard garden, where there is seating and lighting. The superb modern kitchen offers everything a guest could need, and from which there is a door leading into the courtyard garden. At the rear of the property, at ground floor level, is a spacious king sized bedroom, overlooking the garden area, with a brand new en-suite shower room. On the first floor is a further king bedroom and a twin bedroom. 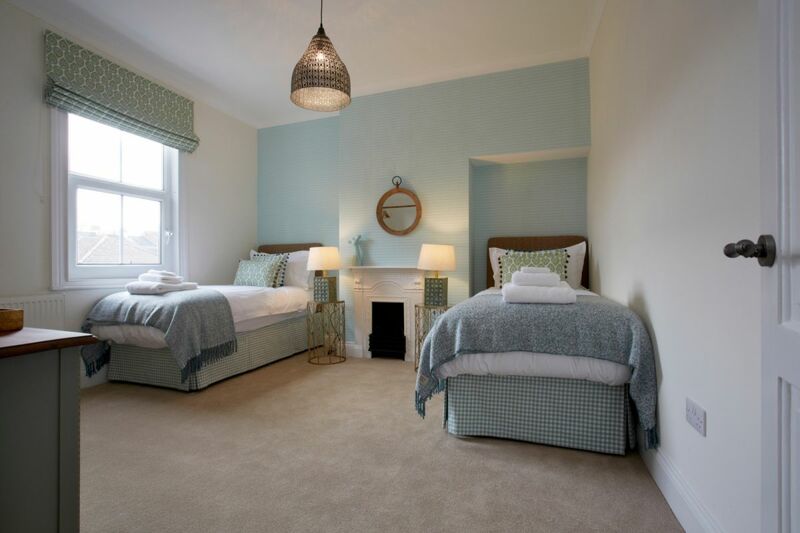 Both are beautifully furnished with high quality bed linen and everything needed for a relaxing sleep. There is also a brand new immaculate family bathroom with a bath, a shower unit and sink, plus a separate cloakroom. Parking for one vehicle is on the street at the front of the property using a permit. An additional vehicles may also be able to park on the street at the front of the property, or at nearby Marygate car-park. This really is a tremendous holiday property offering guests a terrific location from which to explore York, and to be away from the hubbub at night. Secure on-line booking and payment facility 24/7 with no added fees. On street parking at the front of the property for 1-2 vehicles. Just a 10 minute walk to the city. Spread over 2 floors in a large, top class and fully refurbished Victorian Townhouse. Very high quality fixtures and fittings with beautiful interior design. 43” Smart TV in sitting room, with Amazon Prime. Supremely comfortable sitting room seating 7 guests. Large open plan dining room seating up to 8 guests. Modern kitchen with everything a guest could need. Private south-west facing walled courtyard garden. Spacious ground floor king bedroom with en-suite shower room. Sumptuous king bedroom and twin bedroom at 1st floor. Fantastic kids room offering 43” Smart TV with Amazon Prime, X-Box and more games. A large corner sofa-bed for 1-2 children in the kids room (or for 1 adult by prior agreement). Designer family bathroom with bath, stand-alone shower unit, and sink. 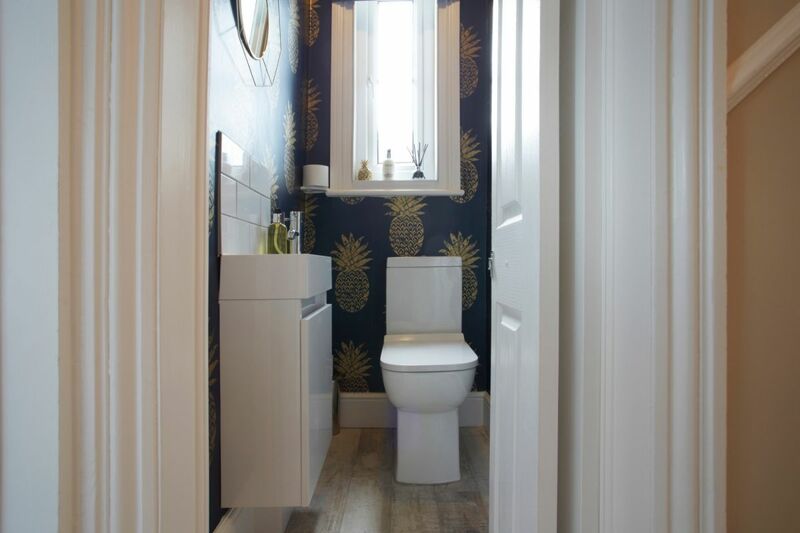 Separate cloakroom with dual flush loo and sink. Beautiful toiletries provided for use. Plush Egyptian Cotton towels including large bath sheets. High quality bedding and linen. A short stroll to river walks and Museum Gardens. A wide range of restaurants, shops, delis and cafes within a 5 minute walk. Complimentary welcome pack of tasty goodies on arrival. (Extras such as champagne & chocolates can be provided at extra cost). The City Escape is in an excellent and quiet residential location, approximately a 10 minute stroll to the city along the historic entrance road of Bootham, with very easy access from the north ring road avoiding the busy city centre traffic and one way systems. It offers fantastic and very well considered accommodation for up to six adults, 2 children and 2 infants, in 3.5 sumptuous bedrooms. Secure on-line booking process available 24/7 with no added booking fees. Host welcome.On street parking permit for one vehicle. An extra vehicle may be able to park on the street outside the property too, otherwise may need to use the nearby Marygate car park. 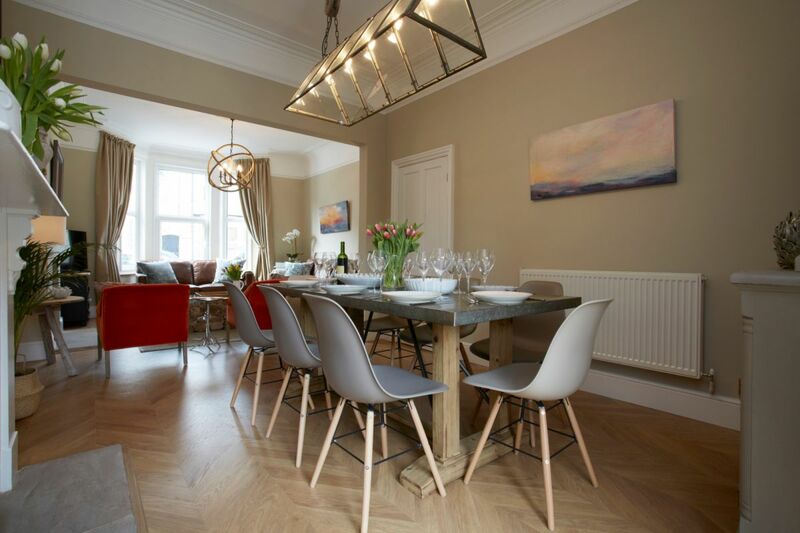 Beautiful and fully refurbished Victorian townhouse. Large living-dining room with stylish furnishings and high quality fittings. Living room seating for 7 guests and dining for 8. 43” SMART TVs with Amazon Prime in living room, & Kids room. King bedroom and en-suite shower room at ground floor level, overlooking the enclosed garden. King bedroom and Twin bedroom at first floor level. Kids room with large corner sofa bed for up to two children, (or 1 adult can be considered). Kids room providing entertainment with 43” Smart TV, X-Box and board games. Cot with bedding and high chair. Full modern kitchen with everything a guest could need. Washing machine-tumble drier (tablets provided). Fridge - freezer. Ice provided. Immaculate family bathroom with white bath suite, separate shower unit and sink. 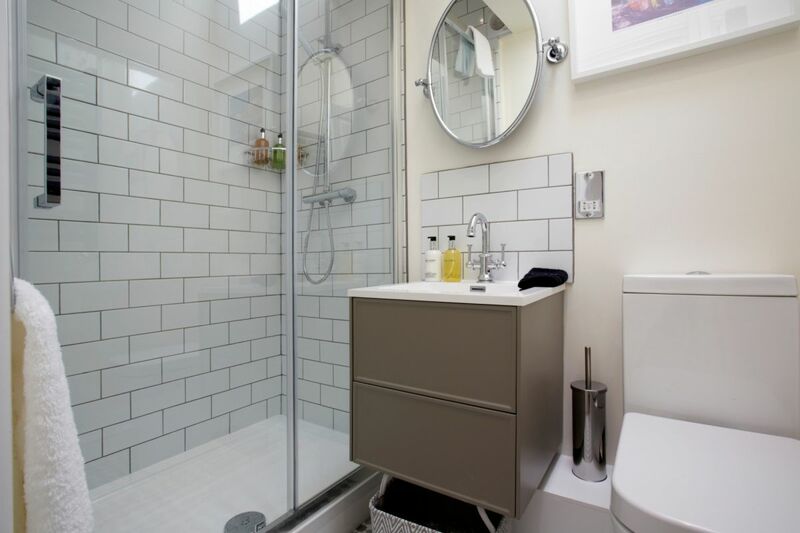 En-suite shower room at ground floor level with shower unit, sink and dual flush loo. Lovely toiletries provided for use during stay. Plush Egyptian Cotton towels of all sizes. Private walled courtyard garden with paving, raised shrub borders, light and seating. South-West facing. Fresh flowers, milk, tea, coffee, sugar and welcome goodies are provided for arrival. Relax! Play! Have Fun! Enjoy! 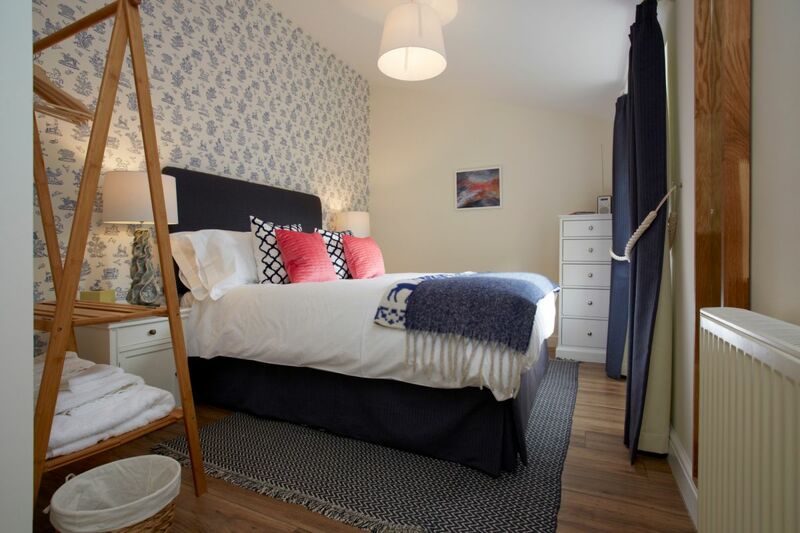 The City Escape is located just outside of the city centre, a ten minute walk along the main historic city entrance road of Bootham The property has easy access by car from the north of the city avoiding the city centre roads and traffic. The City Escape is in a quiet residential area with local shops nearby. If departing guests are leaving on the morning of your arrival, the accommodation will be ready from 3.00pm with latest arrival at 8pm. If we do not have guests leaving on the morning of your arrival then access can be earlier by prior arrangement. Check out is normally for 10.00am. Guests will be personally welcomed on arrival. Parking for one vehicle is on the street at the front of the property using a permit, which will be provided for use during your stay. An additional vehicle may be able to park also, otherwise may need to park at nearby Marygate car park. If arriving by train a taxi ride should take less than ten minutes. Full details with directions, parking and access information will be sent as part of your booking confirmation. Yes! Stays can be as short as 2 nights or as many as 30 nights. Guests can arrive any available day. Please note, however, we do not accept arrivals/departures on Christmas Eve, Christmas Day, Boxing Day, New Year’s Eve or New Year's Day. How central is the property? Just about a 10 minutes’ walk to the Bootham Gate entrance to the city, next to the Thea-tre Royal, Art Gallery and High Petergate for The Minster. Is it noisy being in the centre of the city? York is a bustling and busy city at any time of year as there is so much to see and do but it is rare for anyone to be disturbed by noise. Even The Minster bells are considerate and don’t ring at night! The City Escape is in a peaceful residential area just outside of the city walls. Are we likely to feel hemmed in? The City Escape is a fabulous Victorian 2 floored house with plenty of natural light flooding through the windows. 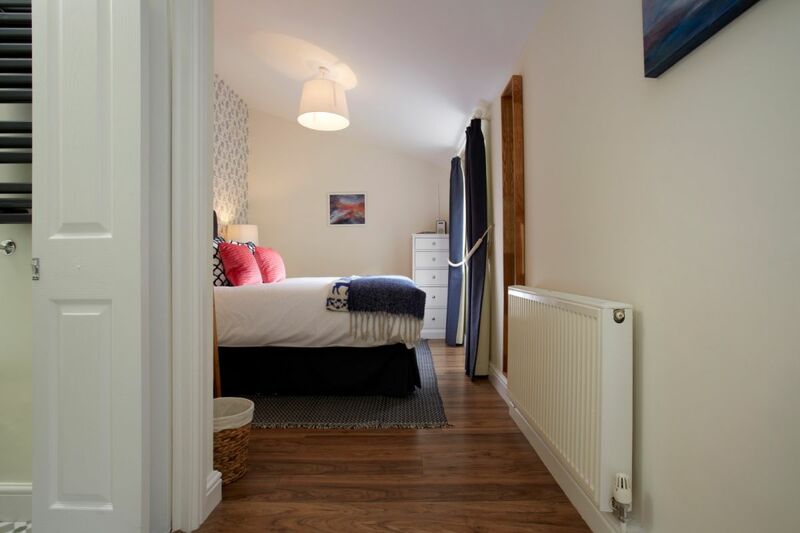 The accommodation is bright and airy with a large open plan sitting-dining room and spacious bedrooms, so occupants should feel comfortable and relaxed. French doors lead from the dining room into the lovely courtyard garden, and there is also access to the garden area from the kitchen. How accessible are you by train? York is on the main rail routes between London and Scotland with trains running a few times an hour (2 hrs to London and 2.5 hrs to Edinburgh). We are also served very well with trains to the west and east, as well as Manchester Airport. Call 08457 225 225 for fantastic deals on the LNER Mainline, particularly first class tickets which, when booked in advance, can be cheaper than the standard price. Advance tickets can often be purchased cheaper than buying on the day. A taxi ride from the station takes about 10 minutes. If we travel by car where can we park? On street parking is permitted outside the front of the property with permit for one vehicle, which will be provided on arrival. Permission for a second vehicle to park on street may be possible otherwise will need to be parked at nearby Marygate car park. The property is easily accessed from the north ring road A1237, avoiding the city centre traffic. I understand York floods regularly, will we be affected? It has never flooded in this area and there are emergency warning systems in place across the city. How far are the nearest airports and what is easiest transport? From Canada & the US many flights can come in to Manchester which is nearer than London. From here it is a direct train journey of approx. 2 hours to York. We can also provide details of a local chauffeur, who we and many other guests use, as this can work out almost as cheap as train fares when there are a few travelling, and certainly more convenient. If flying into Leeds/Bradford from Europe or on the London shuttle you will need to take a taxi to Leeds railway station for a train to York or use taxi/chauffeur all the way to York. How can we book our break? If booking your break more than one month in advance you will be asked to pay a 40% deposit. The balance will be due one month before arrival. If arriving within the month the full amount will be required upon booking. Payment can be made by card by using our secure on-line booking page at our website. Just click on the ‘book' tab and follow the simple process to check availability, place your booking and to pay the deposit or full amount. We accept all credit and debit cards except Amex. Please note we do not accept cheques, cash or bank transfers. What happens when we have booked? If booking on-line at our website www.yorkluxuryholidays.co.uk you will receive an immediate auto e-mail confirming your booking and the payment made. You will then receive a more detailed e-mail with further confirmation of your booking followed by information regarding access, directions, car-parking etc. If you have paid a deposit only you will be sent a secure payment link approximately 5 weeks before your arrival so that your final payment can be made. Arrangements will be made with you closer to the date to confirm arrival time so that your host can meet you to show you around your holiday accommodation and to hand over your keys. Your accommodation will be ready from 3pm with latest access at 8pm and, if no-one is leaving that morning, it may be ready earlier by arrangement. Check out is before 10.00am so that the property can be prepared thoroughly between guests. 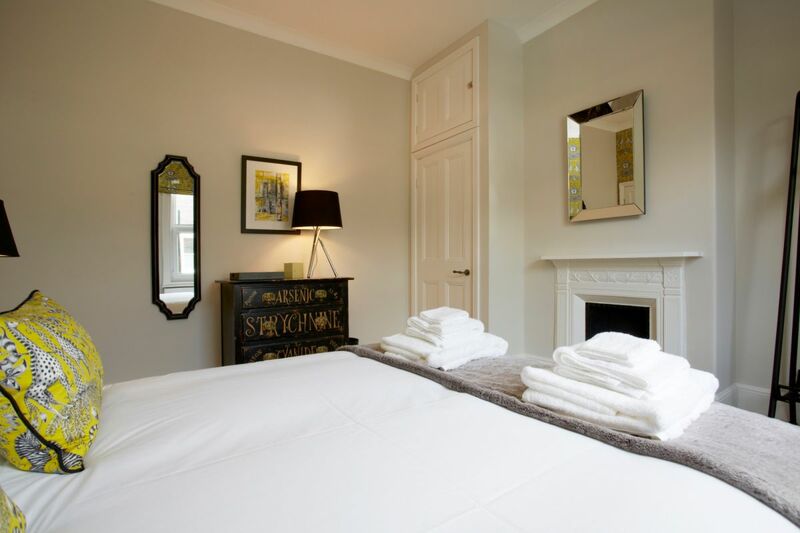 Guests may leave luggage for later collection, by arrangement, alternatively YorBag storage facility is just about a 10 minute walk away on High Petergate in the city. Do we have to clean up when we leave? No! Many self-catering properties ask you to do this or charge separately. Everything will be spotless when you arrive, and it is the owners' job to make sure the apartment is spotless again for the next guests. Obviously you are asked to respect the property and its contents, and to leave all in good order. We certainly do! A cot and high chair can be provided. And the kids-room has games and a Smart TV for entertainment. Is this property suitable for wheelchair users? 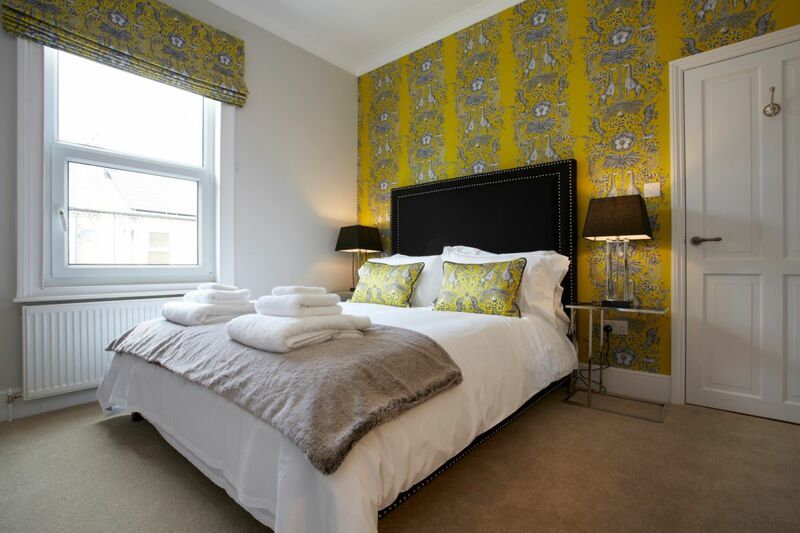 The City Escape has a wonderful ground floor king bedroom overlooking the courtyard garden, with an en-suite shower room, which is great for those of us who struggle with stairs. Please note that there is a step of approx. 6 inches between the entrance hallway and the kitchen, leading to the ground floor bedroom, so the property is not designated as fully wheelchair friendly but it is certainly perfect for anyone with slight walking issues and who wants to avoid the stairs. There is strictly no smoking or vaping within the property. Smoking/vaping is permitted in the garden but please dispose of any butts and ash etc in the external bin provided. Animals/pets are not permitted. The property accommodates up to six adult guests in three bedrooms and up to two children in the kids room, plus two infants. By prior agreement a 7th adult may be able to use the sofa-bed in the kids room, instead of a child. We do not allow hen, stag or other such potentially rowdy parties, as the property is in a peaceful residential area. No we don’t. Only for any replacement or repair costs for damage during your stay, or if additional cleaning is required because of lack of respect and due care of the property and its contents. If the restrictions on animals and smoking are ignored then additional costs will apply. These form part of our terms and conditions so you are advised to read the terms and conditions at our website in full before booking, and to ensure that your house insurance protects you against damage. By making a booking with us you agree to all of our terms and conditions specified, and you agree to pay any recompense within 4 weeks of departure. Otherwise additional legal costs will apply. What complimentary goodies do we get when we arrive? Complimentary drinks and delicious Yorkshire treats are provided for your arrival. You will also find fresh flowers, milk, sugar, and juice for the children. At an extra charge of £30 you can purchase champagne and chocolates for that special occasion. Do you have computer access & what TV/entertainment do you have? Complimentary wi-fi is provided throughout the property. There is a 43” SMART TV with Amazon Prime in the living area. A blu-tooth sound system is also provided and a radio. In the Kids room is another 43” Smart TV with Amazon Prime together with X-Box and other games for entertainment. • Mobile/office phone: 44 (0)7746 552478. • Home phone: 44 (0)1904 623508. • You can also book immediately and securely via our website using our on-line booking page 24/7. “York Luxury Holidays” is a family business run by us, Malcolm & Susan Kitchener, and our son Stephen. We live in York so know the area very well and can give local advice. We have owned and managed high end 5 star holiday accommodation in York for more than 15 years. We have won all the top awards including 5 star Gold and the winners of the best self catering accommodation for York, Yorkshire and England - awarded by the official tourism bodies VisitYork, Welcome to Yorkshire and VisitEngland. When making your booking via “York Luxury Holidays” you can be assured that your details are safe and secure. You will receive immediate confirmation of your booking and payment. You will then receive further confirmation of your booking including directions, access and parking. We are sure you will have a thoroughly enjoyable stay with wonderful memories made.